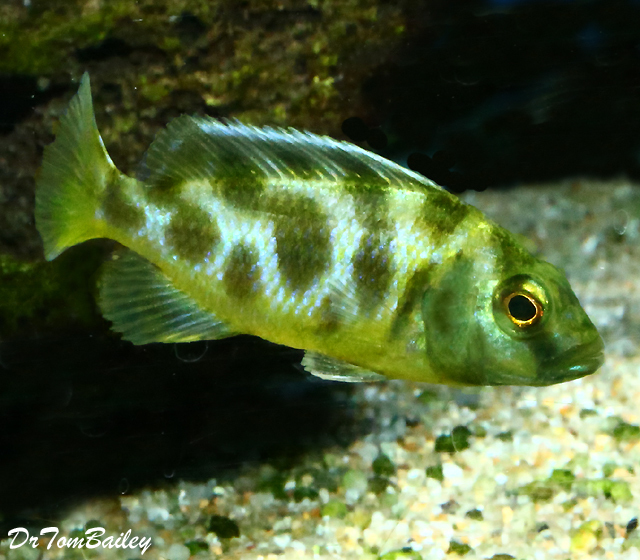 The ancestors of all the fish in this group lived in Lake Malawi in East Africa, but all of the Haplos available from us were raised on famous fish farms. 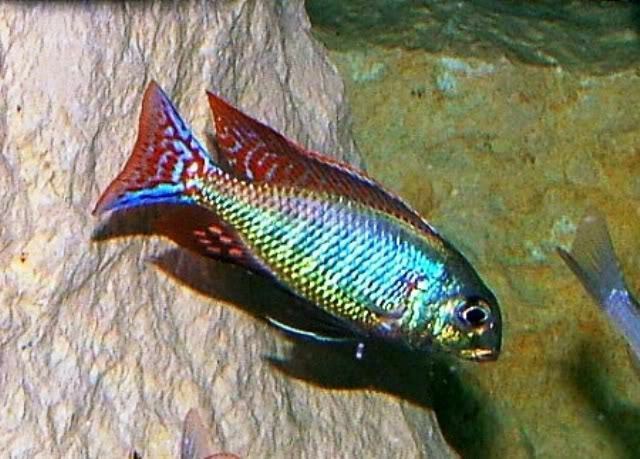 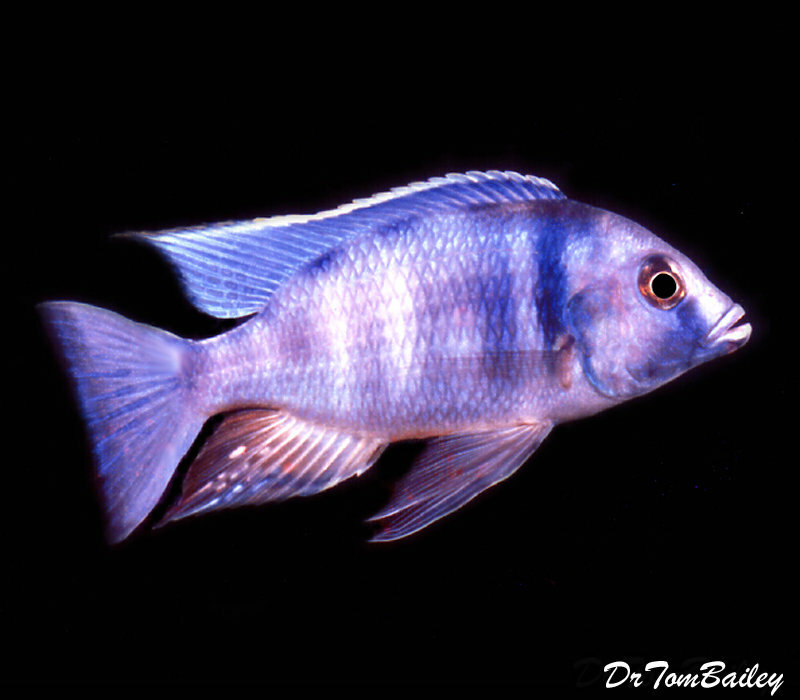 Younger Haplos are usually grey or silver or tan, but later mature males have very bright colors, while females remain the same as the younger fish. 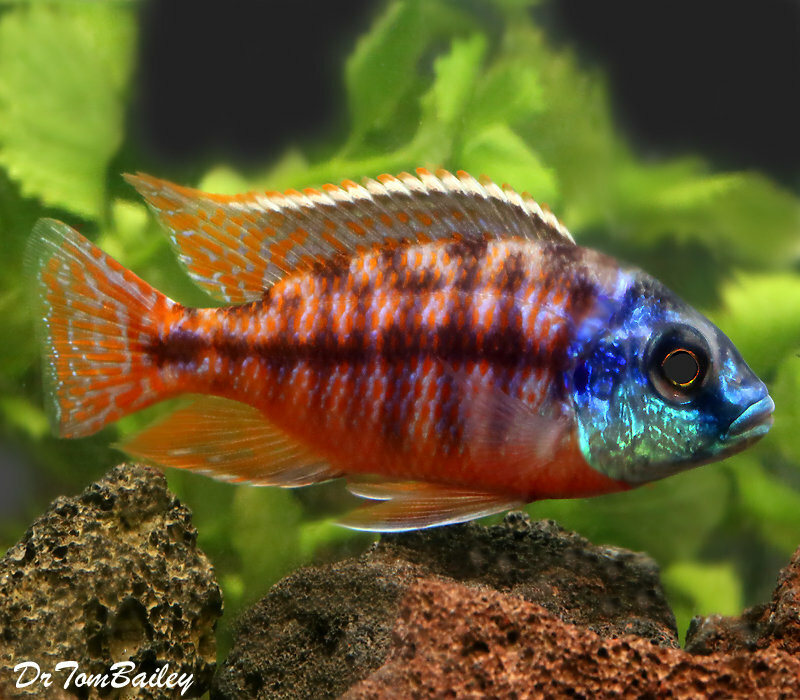 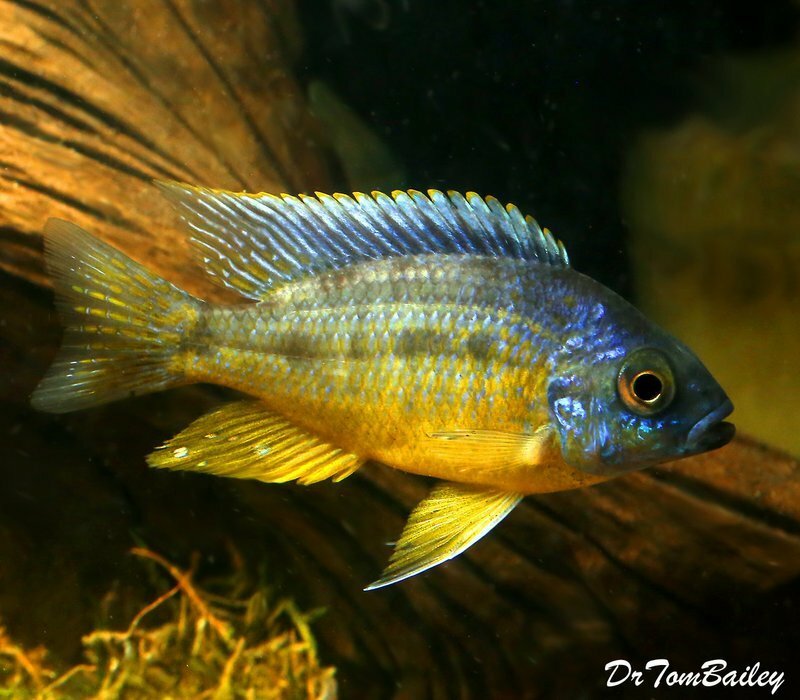 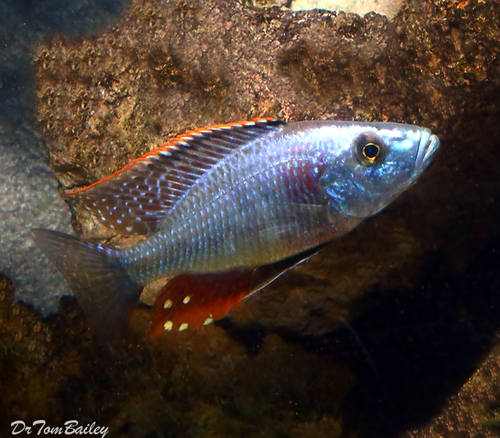 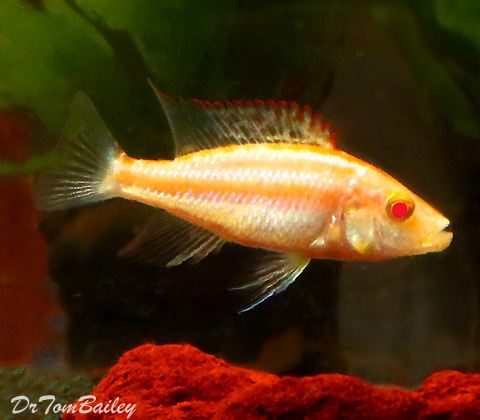 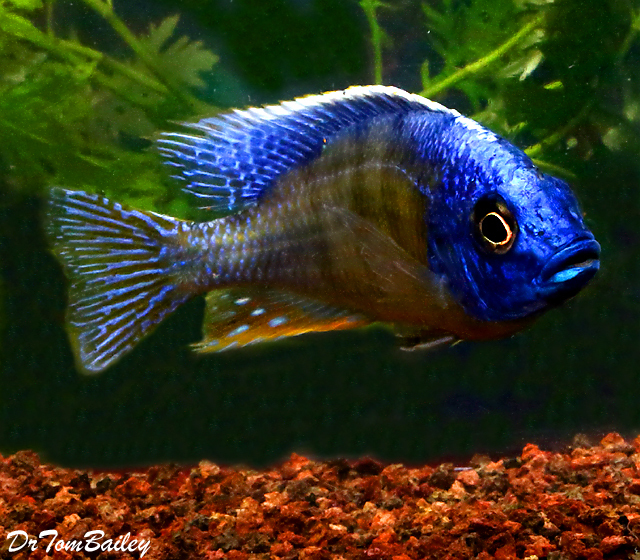 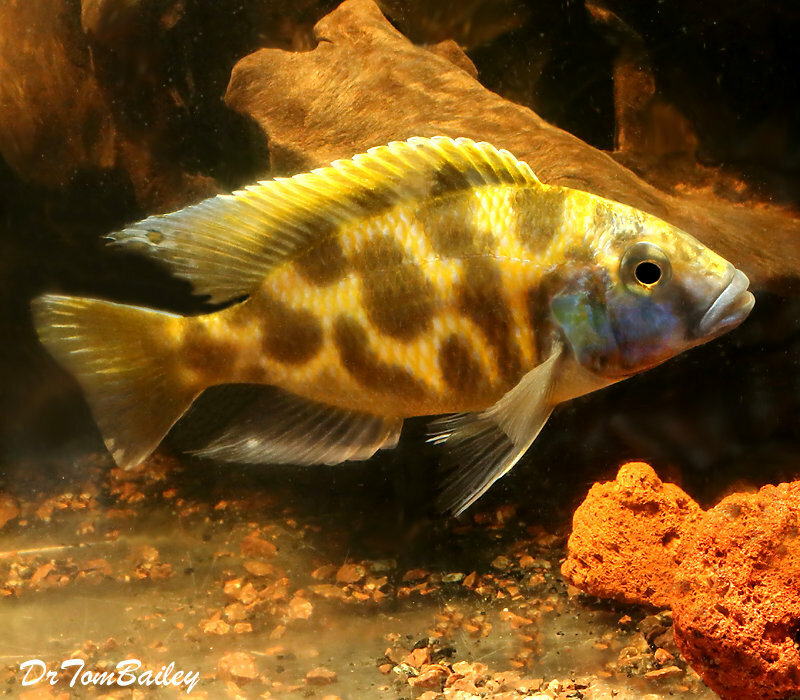 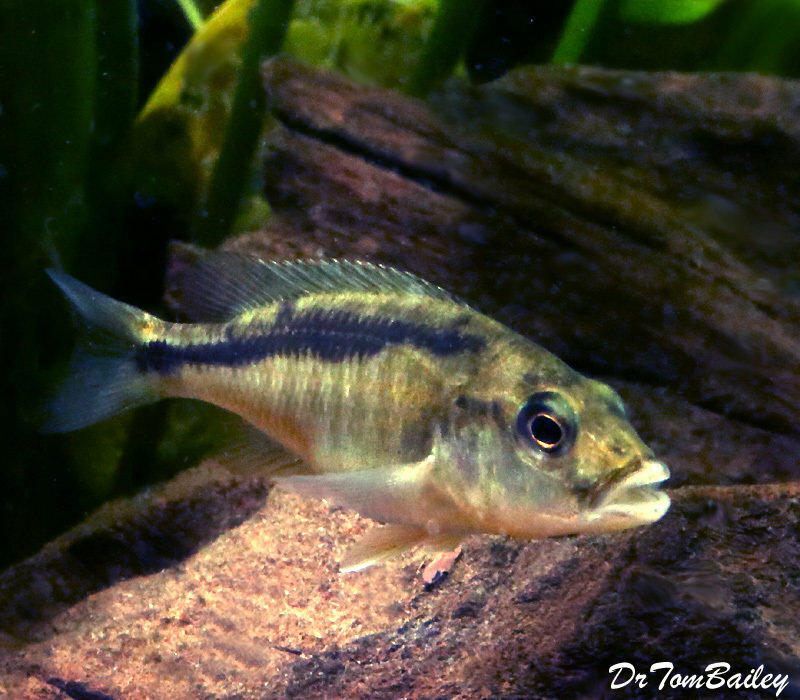 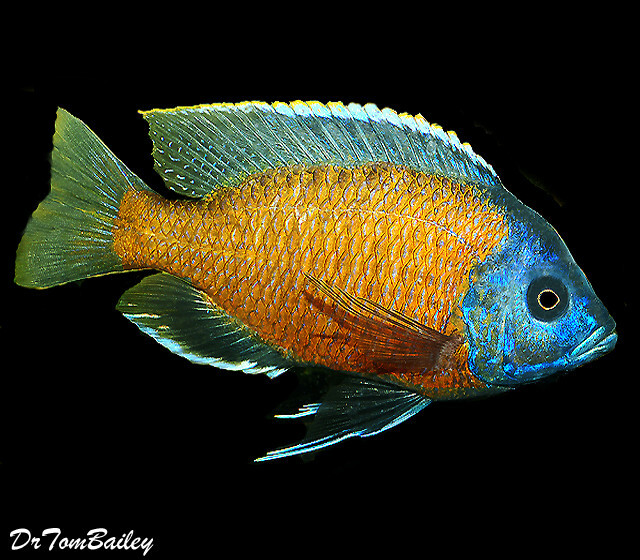 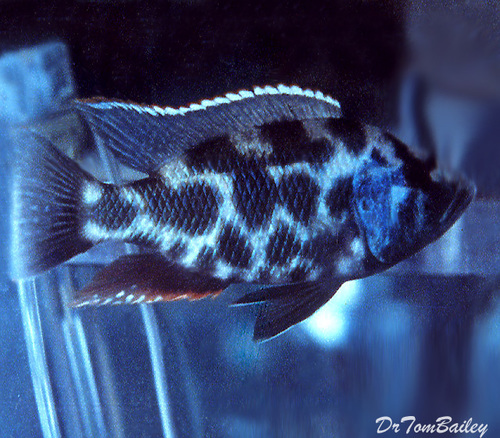 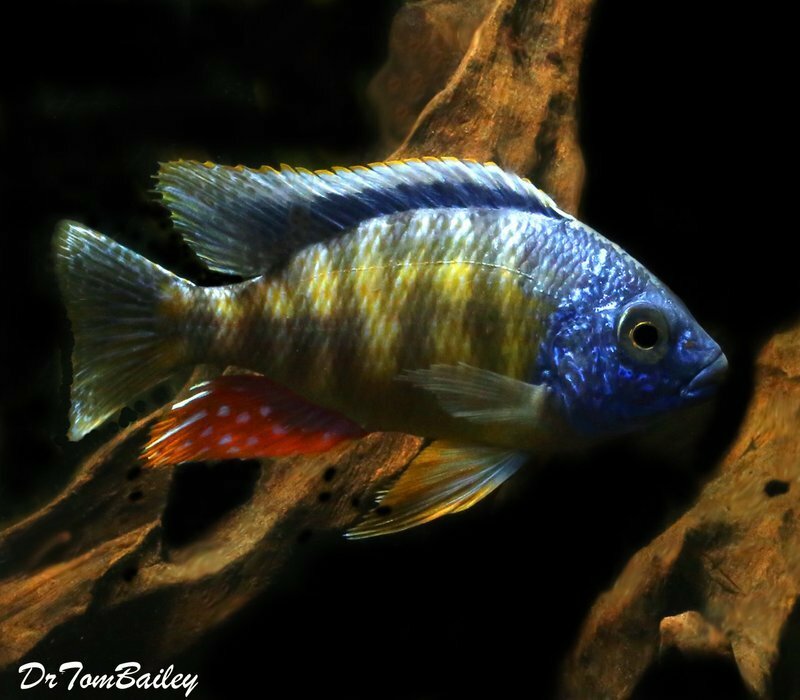 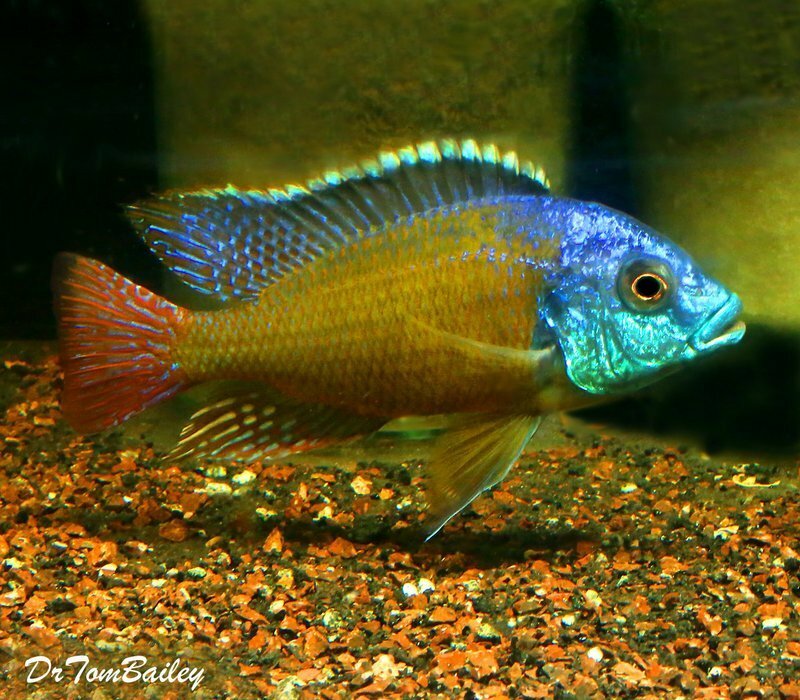 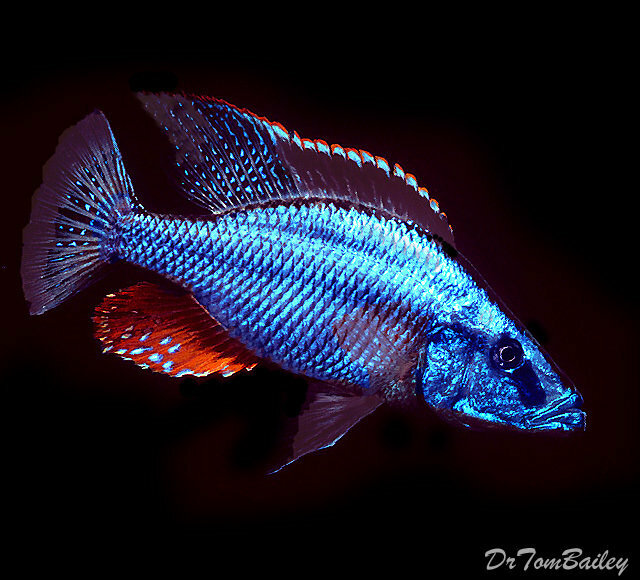 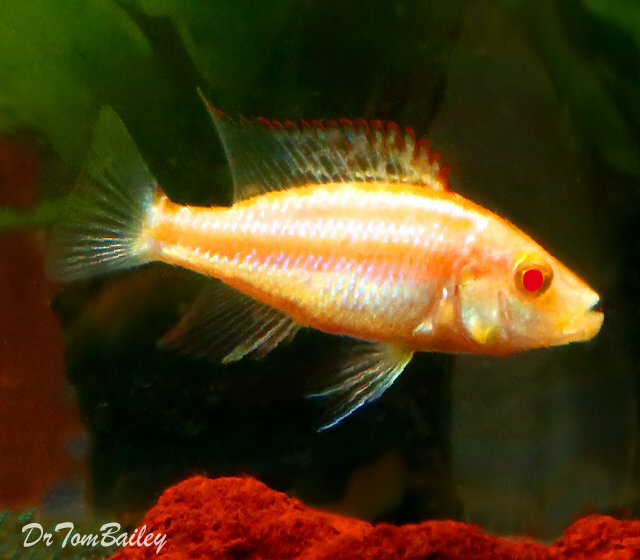 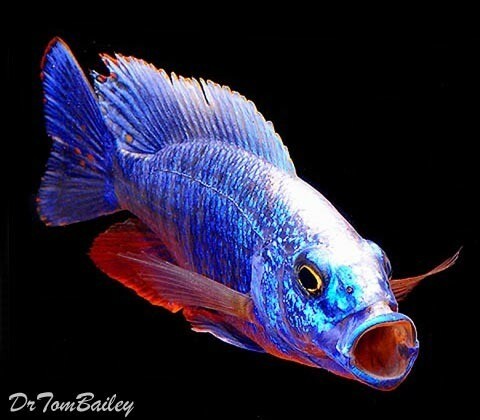 Haplos are usually aggressive fish but not as aggressive as the Mbuna Cichlids. 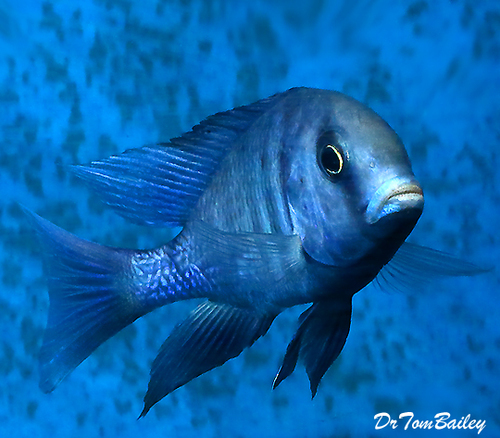 Haplos eventually need to live in a group with at least 12-Haplos in a large aquarium with at least 80-gallons of water. 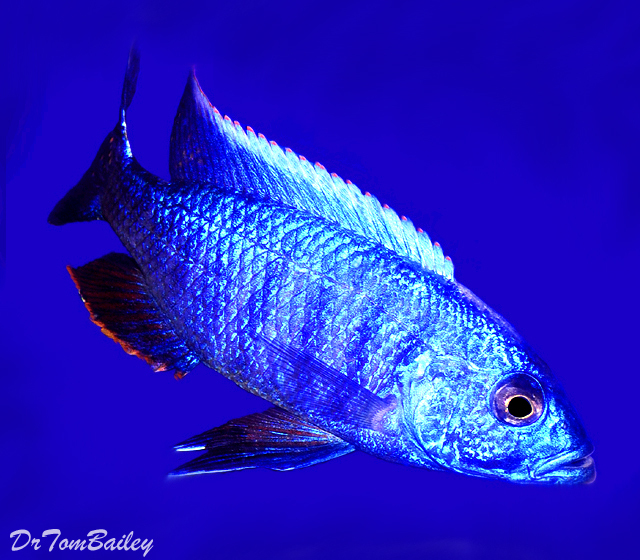 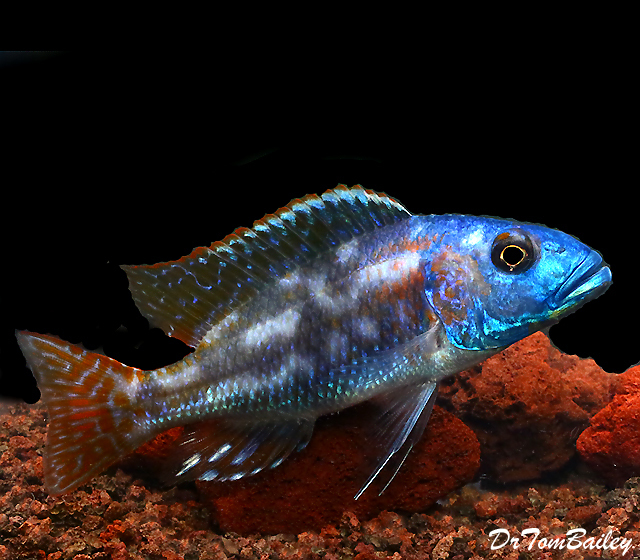 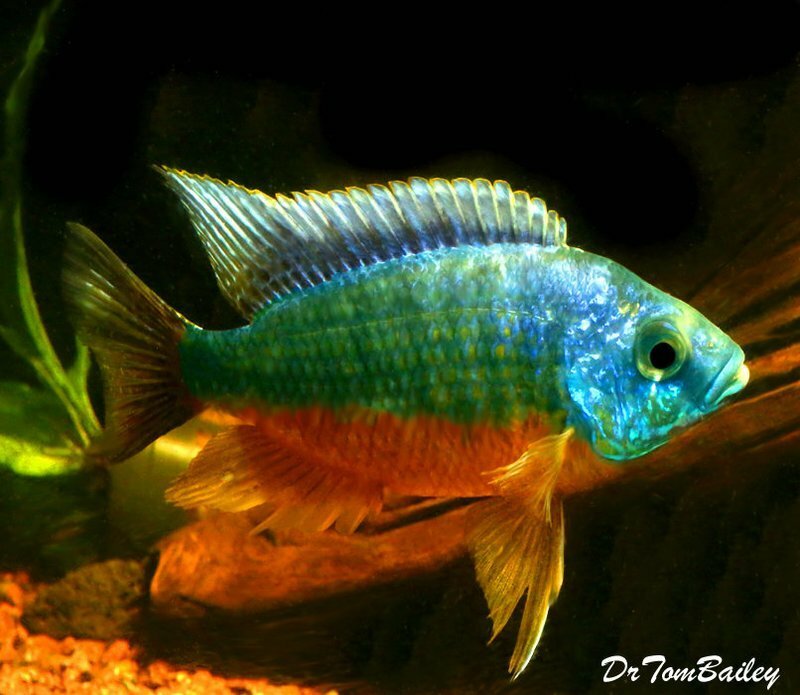 Premium Lake Malawi Electric Blue Hap Male, 6" to 7" long, just one, and the best one we've ever seen.